Dramatically increase your effectiveness with others as you learn the principles and skills of trust and interpersonal dialogue. When trust is absent, relationships are characterized by an adversarial attitude: me vs. you; us vs. them. Rather than goodwill, there are deep and hidden animosities.Respect is lost and our performance is compromised as our energies go into manipulation and protection rather than working together towards a shared vision. We believe that the most successful organizations of the 21st century will be those that know how to create a climate of trust and goodwill among their employees. 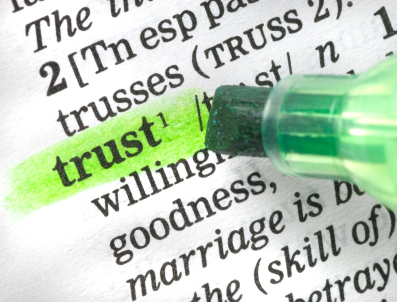 Learn the core elements of trust. Identify how we engage in collusive, weakening patterns of relating to others. Experience a change of heart and know how to break out of collusive patterns. Come to view others in a way that promotes unity, trust and goodwill. Understand the three phases of interpersonal dialogue and practice the dialogue skills. Commit to interacting with others in strengthening rather than weakening ways. Develop the ability to confront poor performance and behavior problems.